Each Angelus timepiece is accompanied by a unique hand signed warranty booklet issued by our manufacture in La Chaux-de-Fonds, Switzerland. In addition, this document will be signed and dated a second time by your official Angelus retailer at the time of purchase. We strongly advise you to read carefully the instruction booklet, which will provide you with all the information you require to make the best use of your watch and its bracelet. Your timekeeper has a mechanical movement which requires a certain amount of care and adequate maintenance. It should be kept from violent shocks, in particular. The movement in your watch must be serviced at regular intervals because oils change viscosity over time and this impedes its smooth operation and speeds up wear and tear. We, therefore, recommend that you have your timekeeper fully serviced by a certified Angelus agent every four to five years in order to guarantee its smooth operation. 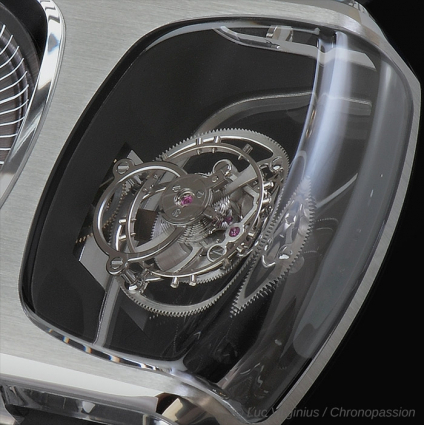 In order to ensure the quality and longevity of Angelus timepieces, Angelus offers you 2 years of warranty. After a service undertaken by an official agent, your warranty is officially extended for another period of 2 years. Please note that if your watch has been opened by an unauthorized person, damaged by an inappropriate shock or a fall, subjected to frequent vibrations or magnetic fields, or manipulated without an amount of care, the warranty cannot be applied. The scope of a service intervention depends on the complexity of the timepiece and overall condition. For current-collection watches (less than 7 years old) that are not damaged and only require standard servicing. In case of your watch is not under warranty, we can submit a detailed cost estimate within 5 business days. - Technical and aesthetic final inspection.